Sonic Lighter por Smule, Inc.
Everyone's favorite novelty lighter is back, and now FREE! So much more than a lighter — blow out the flame, light up your friends, see people ignite all over the world, cast your vote in global polls and more. 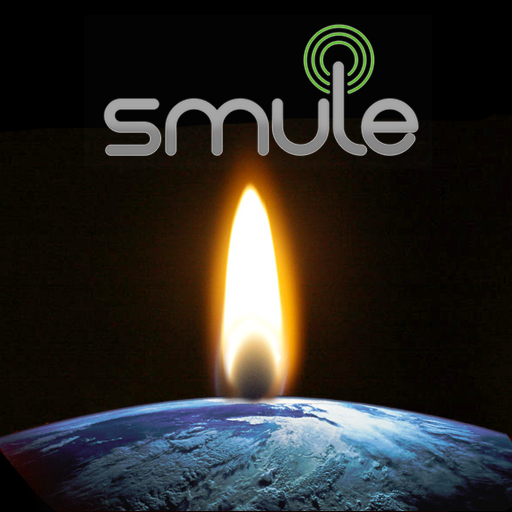 Help make your city the hottest on the Smule globe - the longer you keep your flame alive, the more “kilojoules” you burn, making your city brighter. Use your breath to blow into the microphone and watch the flame flicker and extinguish. Just swipe your finger across the flint to light it again! WHERE IN THE WORLD IS SONIC LIGHTER? Tap the globe to see actual ignitions around the world, or light your lighter along your travels and trace where you’ve been. CAST YOUR VOTE IN GLOBAL POLLS. Godzilla vs. King Kong, Boxers vs. Briefs, ignite your lighter to cast your vote, and see how your opinion compares around the world. Visualize the results with our Smule globe. LIGHT YOUR FRIENDS UP AND MORE! Pass on your flame by placing your phone’s mic next to the speaker of the other phone, and voilá! But that’s not all: turn it into a blowtorch, burn the sides of your phone, and choose your flame color. NOTE: In order to blow out the flame or ignite other lighters, this application requires an iPhone. Like our Apps? Get to know us, ask questions, and send us your feedback! Try Magic Piano, our newest app, for FREE! Or check out our other music-making apps: I Am T-Pain, Glee Karaoke, Ocarina, Magic Fiddle and more.